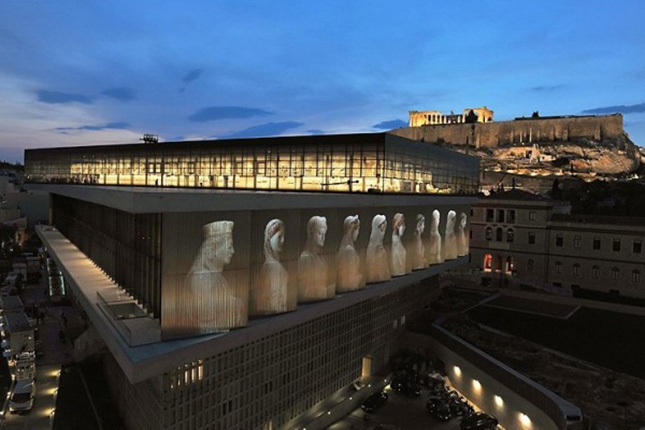 The Acropolis Museum, in accordance with your Insider’s Guide to All the Best in Athens, is the best museum in Athens! 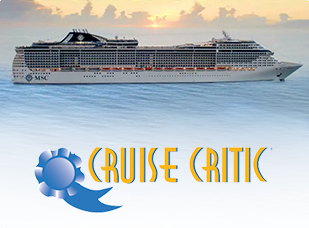 On your next Athens tour, discover firsthand why this imposing architectural wonder has won numerous world travel awards as Europe’s leading tourist attraction. 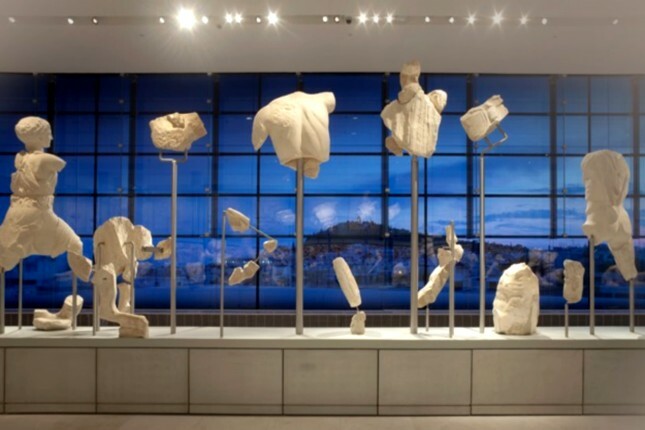 The Acropolis museum hosts significant artifacts found on the Sacred Rock and its slopes. The best museum in Athens, situated at the foot of the Acropolis' southern slope, covers the Archaic to the Roman period. However, it emphasizes on the Classical Period, particularity the 5th century BC, considered the sublimity of Greece's artistic accomplishment. 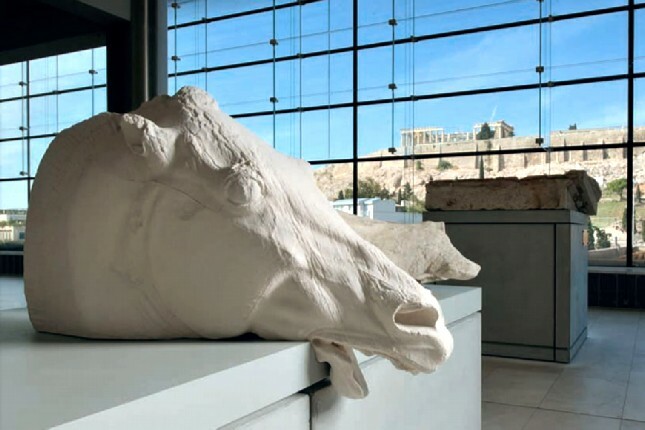 The permanent exhibition at the best museum in Athens is revealed in three layers of history: the Gallery of the Slopes of the Acropolis; the Archaic Acropolis Gallery; and the Parthenon Gallery. Entrance to the first level of the Acropolis Museum is by an inclined ramp with a glass floor. 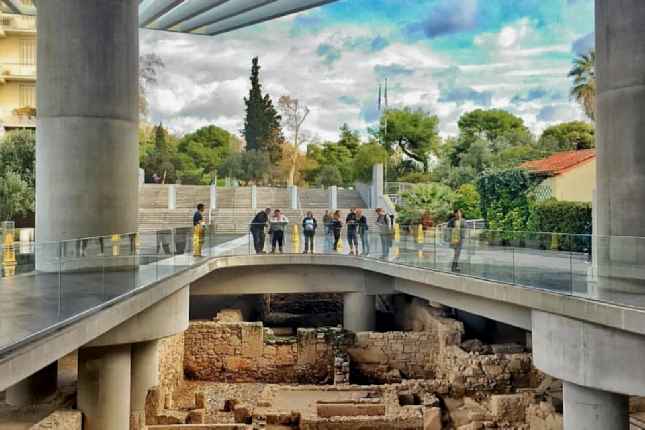 This allows anyone on a tour of Athens to walk directly above the ruins of an ancient Athenian neighbourhood which were uncovered during construction. The Gallery of the Slopes of the Acropolis, the first level of the best museum in Athens, displays findings from the settlement and sanctuaries on the foothills of the Acropolis. Exhibits include streets, squares, cemeteries, wells, fragments of houses and workshops, objects Athenians used in everyday life, painted vases and votive offerings from the sanctuaries where gods were worshipped along with the two clay statues of goddess Nike found at the entrance. 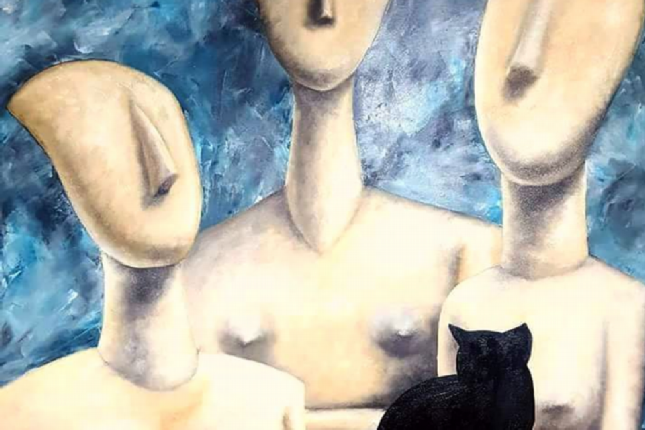 On your Athens tour, go up the gallery’s sloped floor and envision yourself climbing up to the sacred hill. The next level of the best museum in Athens reveals the archaic findings from the Erechtheion, the Temple of Athena Nike and the Propylaia. Bathed in natural light, the Archaic Gallery holds the glorious sculptures that adorned the temples predating the Parthenon on the Acropolis and votive offerings to Athena. The five of the six statues of Korai (Caryatids), the maiden columns that held up the roof of the Erechtheion, are in an internal porch which you can see as you climb up the grand staircase at the entrance on your Athens tour. The Caryatids are, by far, the most captivating artefacts on display at the Acropolis Museum. The sixth Caryatid was removed by Lord Elgin in 1801 and is now held in the British Museum, in London. 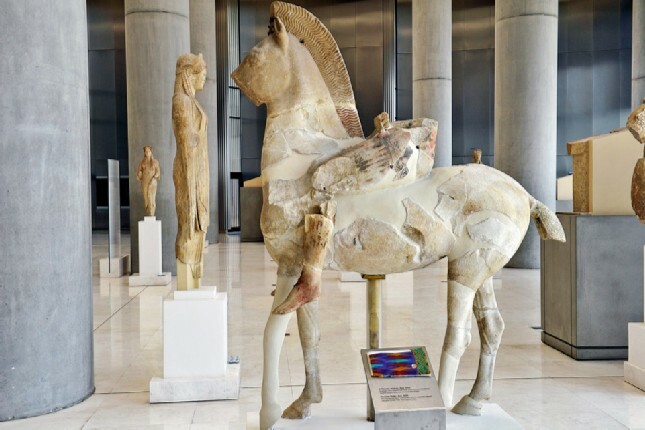 The third level of the best museum in Athens contains the relief sculptures of the Parthenon frieze depicting the Panathenaic procession, a scene no one on an Athens tour should ever miss. 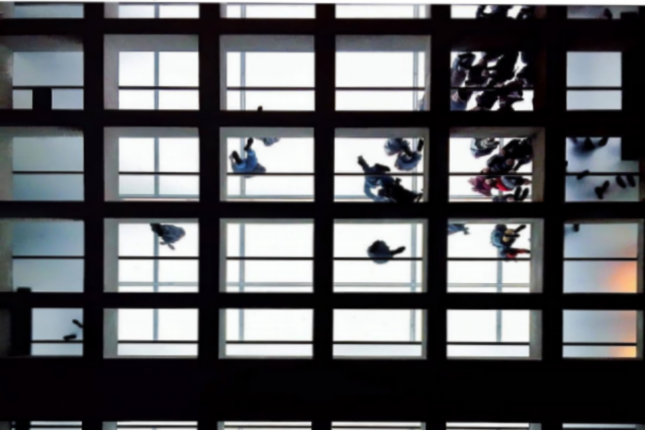 They are exhibited in continuous sequence along the perimeter of the external surface of the concrete core of the Parthenon Gallery. Only 11 of the original 114 blocks comprising the Panathenaic procession remain; 1 block is at the Louvre in Paris, 80 are at the British Museum in London, and other fragments are scattered around numerous European museums. 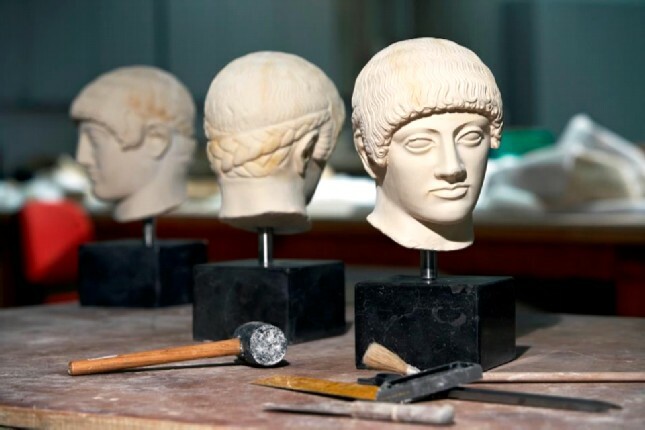 However, plaster replicas of the missing pieces have been placed accordingly by the Acropolis Museum to complete the story. The metopes, marble slabs with depictions from Greek legends, are exhibited in between the stainless-steel columns of the Parthenon Gallery. These are the same in number as the Parthenon columns. The two pediments have been placed at each side of the Parthenon Gallery. The east pediment illustrates the birth of the Goddess Athena, and the west pediment illustrates the dispute between Athena and Poseidon over Attica. On the second floor, there is a surprisingly good-value restaurant with a terrace and a breathtaking view of the Acropolis - the best attraction in Athens. 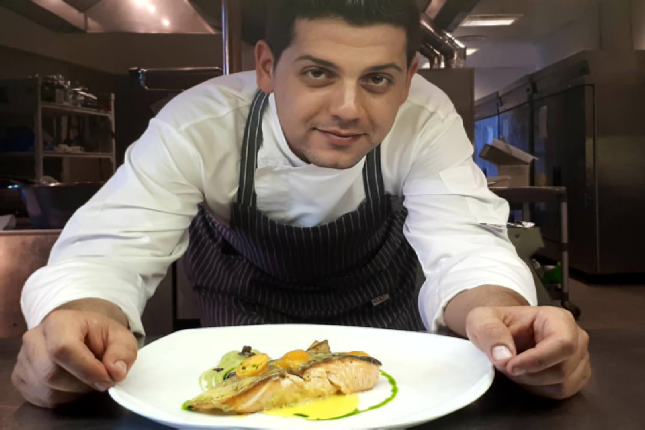 The dishes are created with seasonal ingredients from every region of Greece, a must for anyone on an Athens tour who would like to try traditional Greek recipes. A children's menu, which may be served in both the Acropolis Museum Restaurant and Café, is available. 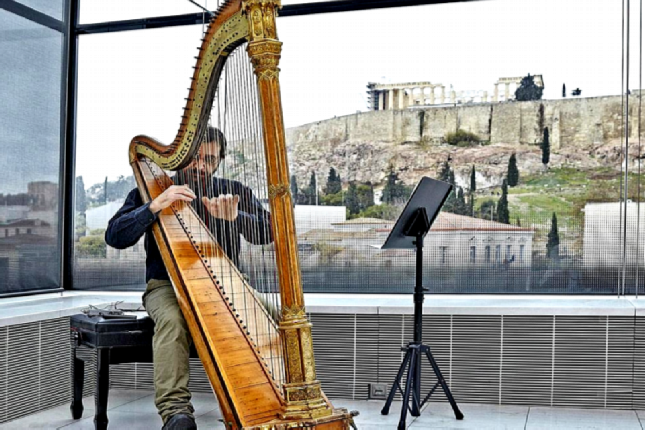 Every Monday to Thursday from 1 pm to 4 pm, visitors can enjoy their coffee or lunch at the Acropolis Museum Restaurant while listening to live harp music. 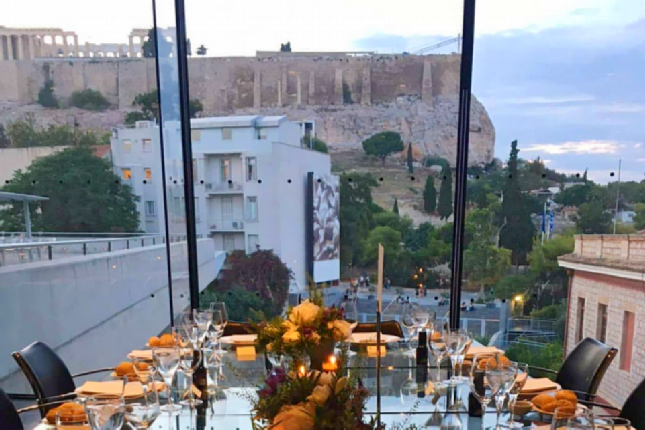 Every Friday, the Acropolis Museum Restaurant presents famous jazz music ensembles and is open until 12 midnight, offering special gourmet choices and beautiful night views. 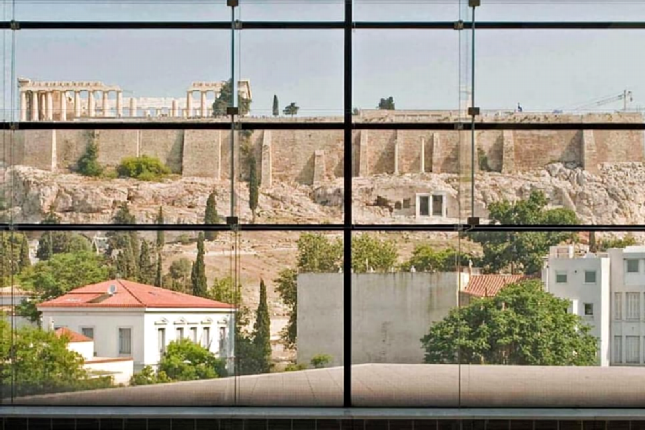 The Acropolis Museum Café is located on the ground floor and overlooks the archaeological excavations. Here, you can enjoy your coffee, a drink or a desert on the occasion you’re looking for that cool break when on your tour in Athens. 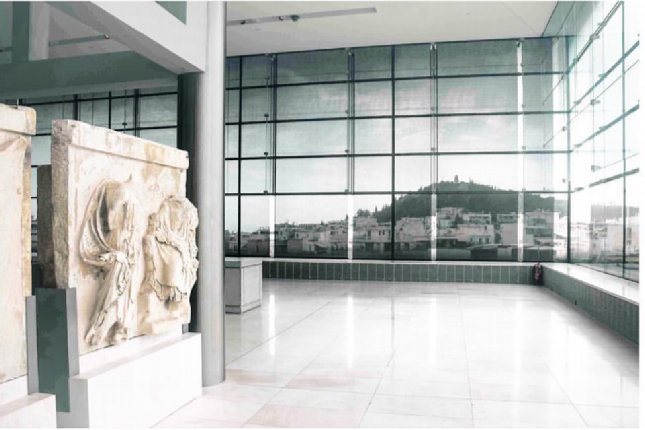 The Acropolis Museum Café also serves your typical Greek breakfast, an assortment of hot dishes based on traditional Greek recipes and that quick meal for those visiting the Acropolis Museum – the best museum in Athens when on their tour in Athens. There are two shops in the Acropolis Museum, one is on the ground floor and the other is on the second floor next to the Acropolis Museum Restaurant. 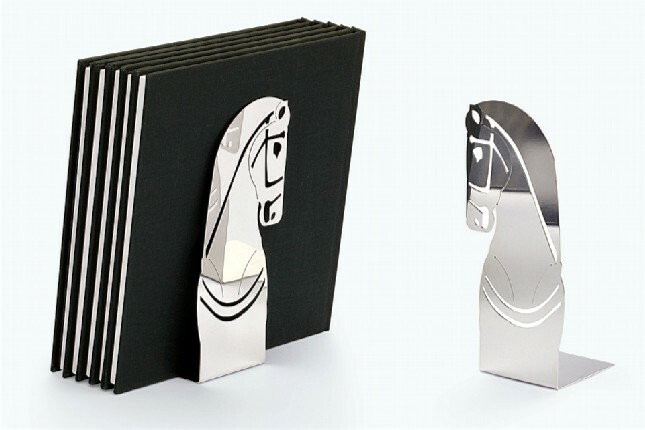 The Acropolis Museum shops sell certified replicas crafted in the museum’s workshops, postcards, jewelry, men’s and women’s’ accessories and toys. After your Athens tour, this is probably the perfect place to discover gifts at affordable prices – truly the best shopping in Athens! With the help of your Insider’s Guide to All the Best in Athens, learn about all the top things to see and do when on a tour in Athens. 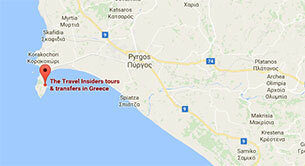 Find the Athens tour that combines both a visit to The Acropolis - the best attraction in Athens and The Acropolis Museum – the best museum in Athens!